Renovated in 2004, this well-located hotel consists of a main building and an annexe, both with 3 storeys, and a total of 171 rooms. Guests are welcomed in the inviting lobby with a reception desk open 24 hours, safes, a lift and a currency exchange desk. Further facilities in this popular hotel include shops, a TV room, a hairdresser, a dining room and bicycle hire. 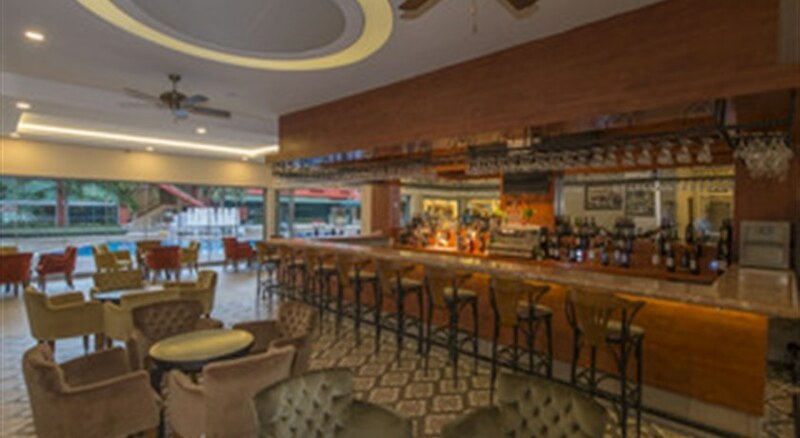 Culinary options take the form of a cosy bar and an air-conditioned restaurant with highchairs available for children, which is particularly inviting with its delicious cuisine. Additionally, laundry and medical services are available. 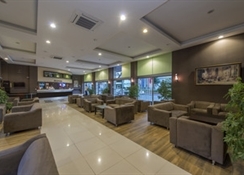 The hotel is also suited to business guests with its conference room with an Internet connection and for guests arriving by car, there are parking spaces available. 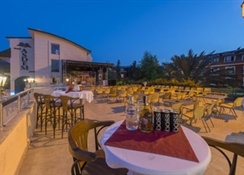 LocationThis charming hotel enjoys a great location, directly beside the beach and only 200 m from the centre of Kemer. A wide selection of shopping and entertainment venues are all located in the immediate vicinity. A bus station lies about 500 km away and it is some 55 km to Antalya airport. RoomsThe rooms all come with their own bathroom with shower, bathtub and hairdryer, a direct dial telephone, satellite/ cable TV, central heating and air conditioning. A comfortable double bed, a minibar and a balcony or terrace are also provided in all of the carpeted accommodation units as standard. SportThere is a swimming pool with children's paddling area, a poolside snack bar as well as sun loungers and parasols in the well-kept, green grounds of the hotel. 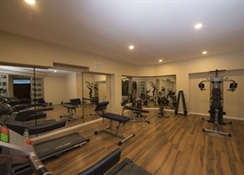 Guests may also make use of the wide range of health treatments, the sauna, the steam baths and the massage service. It is also possible to take part in aerobics courses or play table tennis or billiards and a broad selection of water sports are additionally offered on the beach, such as sailing or canoeing. Sun loungers and parasols have also been laid out ready for use there. MealsGuests can select their breakfast, lunch and dinner from a buffet. Furthermore, special dietary requirements can be catered for as well as individual specific dishes prepared. Guests also have the opportunity to book either a half-board, full-board or all-inclusive stay. The Ã la carte restaurant carries extra charges. PaymentAmerican Express, MasterCard and VISA are all accepted methods of payment.